Whether you are building a standalone digital product or a connected physical product, we can help you design a User Experience in a scientific manner. 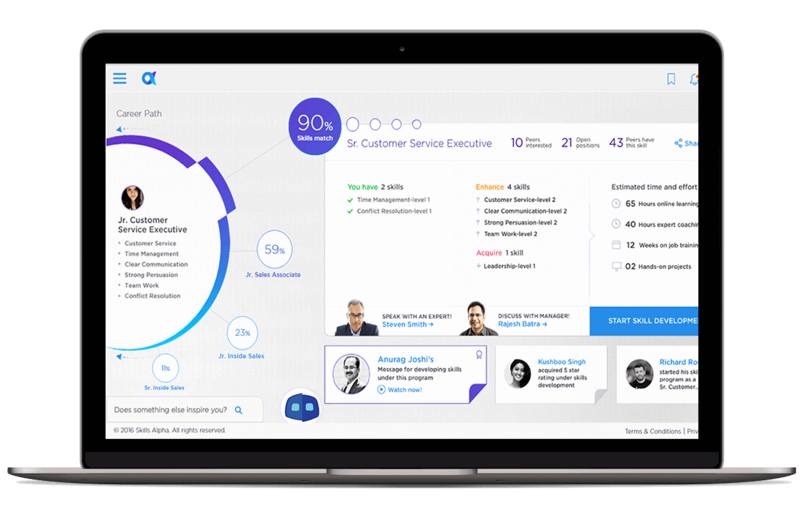 Our data-driven, user-centered approach ensures that users’ experience needs are accurately understood and fulfilled. Our UX design and development team of #DesignEconomists ensure ROI for businesses, memorable experiences for users, and ease of implementing the UX. If we are designing for real users, then humanizing the experience should be our goal. YUJ Design’s approach to providing memorable user experiences is by building empathy towards product users and the business. Through qualitative and quantitative user research, Our team understands users’ goals and expectations, needs and behaviours, motivations and aspirations through. Equal importance is given to understand and elicit business goals, success criteria and technological feasibility. YUJ Designs’ data-driven approach tailors your products’ design to users’ preferences, goals and behaviors, which make them far more engaging. Design is informed through various data sources - user’s psychographics, business metrics, site analytics, trends in domain, industry, technology and design best practices. Concept designs, both interaction concepts and visual concepts are validated by testing them with users before detailed design commences. This approach de-risks your designs before hitting the markets. Our experience designing across a wide range of domains has helped us aquire knowledge of user interactions, behavior and tasks providing us with a wide-lens view of users’ lives. This multi-domain knowledge helps our designers understand any domain faster, and helps them build richer experiences for your users. Customer experiences are no longer limited to the screen, they expand in the physical world. We see experience as a continuum in user’s life and strive to design a seamless experience across devices and spaces. We also make sure that these interactions come to life by using our technological expertise. We strive for one thing - IMPACT by design. Facilitating human experiences is our JOB. Our designs change the way businesses operate, creating visible value for end users and our clients. We believe that good UX must make business sense and boost your ROI on design. UX design and development service led to a breakthrough platform that re-imagines the way organisations empower their employees with new skills and makes them future ready. What is UX? - Science or an Art? Do you want to create design systems? Do you want to improve experience for your users? Do you have the zeal to transform businesses through UX? Are you passionate about designing experiences?